codrops' "Responsive Multi-Level Menu" now joins the Responsive Menus arsenal. Currently available in the 7.x-1.x-dev branch and will be a part of the 7.x-1.4 release. This is the first style to use Libraries integration to load. Based on the response, future styles might -- as well as MeanMenu being backported to Libraries. 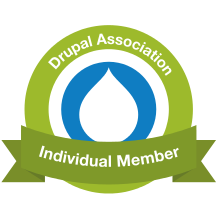 I have mixed emotions about this... while it's nice to always have the latest version of the library, and keep it out of Drupal's repos, at the same time as a module user it is nice to not have to hunt down other dependencies when using a module. Also since these are all open source and compatible with Drupal's license, we can include them, giving us the opportunity to include them with changes like I had to make in MeanMenu's library where a 'console.log()' was left in their code. Another fear of mine is a site / repo / source going offline and the project vanishing into thin air. By including we can at least ensure it doesn't dissapear.